As a sort of novelty, I’m playing a game that was just released! I’m only on Chapter 4… I’m trying to savor the experience. I’ll try not to put in spoilers… this time… except for the one given away by the screenshot and also by the first five minutes of Portal 2: Chell has been in suspended animation for years and wakes up in a laboratory in ruins. But there is still Science to be done. 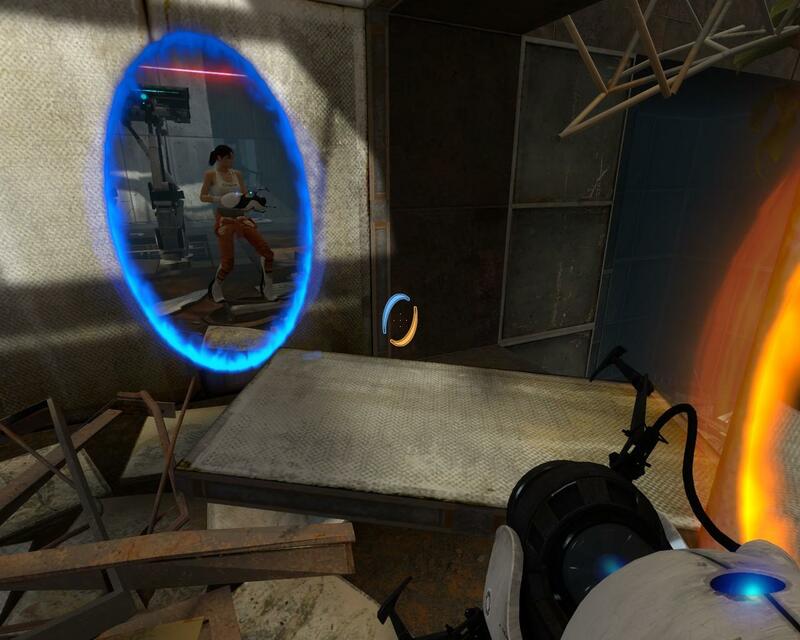 What would you want for a sequel to Portal? Kind of the same fascinating game mechanic, more puzzles, more clever writing, and just more of it, right? Well, that’s pretty much what it is. The game is longer, there is at least one new character, and there are a number of new “testing elements”. I’ll talk about these later, but at least one of them is really neat… looks beautiful and is fun to use. The sequel starts you out with nothing, but doesn’t take as long to get you started as Portal (where it feels like only five of the 19 levels are really playing). So far the level of difficulty is good… I haven’t been stumped yet, and I stump easily. I haven’t tried co-op yet. In part it’s because this is the one real failing of the game interface: you can see which of your friends are playing the game, but you can’t see who is in co-op, much less who would like to be. So the list is useless; you have to fall back onto messaging. How hard would it have been to add a LFG flag? Edit: Chapter 5 is hilarious. The turret QC in particular.